Sony A99 II features a 42.4MP full-frame sensor and offers 4K video recording. Sony has announced the launch of its latest flagship ɑ A-mount full-frame SLT camera, the A99 II in the Indian market. 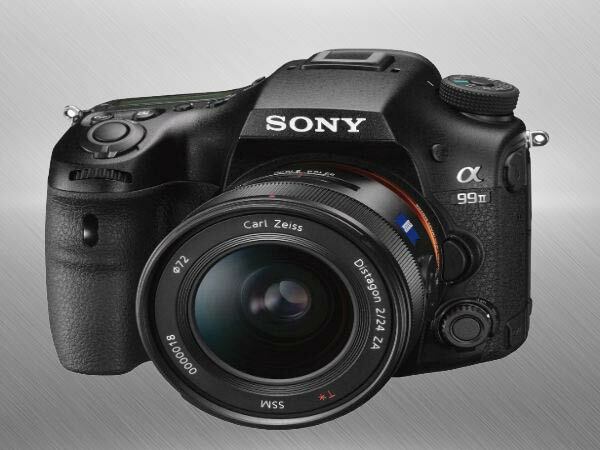 Aimed at professionals, the camera is successor to Sony's previous ɑ99, and was first announced in September during Photokina in Cologne, Germany. The high-end camera is priced at Rs. 2,49,990 and will be available across Sony's stores and other retail electronic stores across the country. Here's 5 important features that you need to know about the Sony's latest imaging masterpiece. Sony A99 II features a new 42.4MP back-illuminated full-frame 42.4MP 5 Exmor R CMOS sensor. As per Sony, the camera features a gapless-on-chip design that allows for fast readout of large volumes and is extremely efficient in light gathering ability. It is claimed to deliver very high sensitivity with low noise, wide dynamic range with 42.4MP resolution images. The camera has an ISO range of 100-25600, expandable to ISO 50 - 102,400. The camera integrates a newly developed Phase Detection AF System, which is capable of ‘full-time AF' and is the first implementation of 4D FOCUS in the full-frame ɑ series. The 4D FOCUS claims to offer a new level of AF performance to ɑ99 II users. The Hybrid Phase Detection AF System is enabled by combining a 79-point dedicated phase detection AF sensor with 399 focal plane phase detection AF points to produce a 79-hybrid cross AF point array. Sony ɑ99 II offers 4K video recording with full pixel readout in XAVC-S format. The camera can record at 100Mbps for 4K recording. There's a new ‘Slow and Quick' mode that supports both slow motion and quick motion. Photographers can select frame rates from 1 fps to 120 fps in 8 steps for up to 60x (50x) quick motion and 5x (4x) slow motion recording. Besides, Sony is also offering professional movie production features such as picture profiles, time code and HDMI clear output and gamma assist for real time S-Log monitoring and a zebra mode for easier exposure adjustment. This is the first time an A-Mount camera has been fitted with a new in-body 5-axis image stabilization system. Sony claims that the new system detect and compensate for shift blur that can occur on the X and Y axes when shooting close-up, and roll blur in still images and movies that are shot at night. Besides, the gyro sensors can detect even tiny camera movements that can cause blurring while shooting for sports and wildlife images. Sony has also updated the design of the popular ɑ99 series with the new camera, which is now 8% smaller than the original ɑ99 and has a newly designed grip and a comes with a magnesium alloy body. There's a dual SD17 card slot and all major buttons and dials are provided with seals and the media jack cover for a dust and moisture resistant design. Besides, the new shutter unit offers fast response and is also more durable. The XGA OLED Tru-finder has been given a ZEISS T Coating and has a 4-element lens offering a 0.78x magnification. The camera also has a fluorine coating on the outer lens to prevent fingerprints, dust, water, oil, and dirt from sticking.